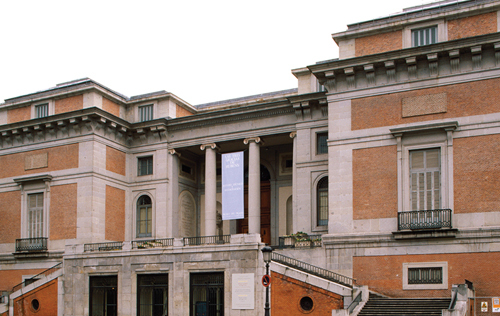 Housing one of the world’s finest art collections, the Prado is one of Madrid’s top tourist attractions. At its core is the fabulous Royal Collection of mainly 16th- and 17th-century paintings, transferred from palaces around Madrid. The Prado’s strongest suit is Spanish painting, the pick of the artists including Goya with 140 paintings and Velázquez with 50. Highlights of the Italian collection (see Italian Paintings in the Prado) include masterpieces by Fra Angelico, Raphael, Botticelli, Titian and Tintoretto. The Prado owns over 100 works by Rubens and canvases by other leading Flemish and Dutch artists (see Flemish and Dutch Paintings). A new wing designed by Spanish architect Rafael Moneo in the restored cloister of the Los Jerónimos church hosts temporary exhibitions and Renaissance sculpture from the permanent collection. Major renovations have resulted in changes to the Prado’s layout. The permanent collection can now be accessed by Puerta de Velázquez, the main entrance to the Villanueva Palace. To see the temporary exhibitions and Renaissance sculptures, enter via the Jerónimos Cloister. 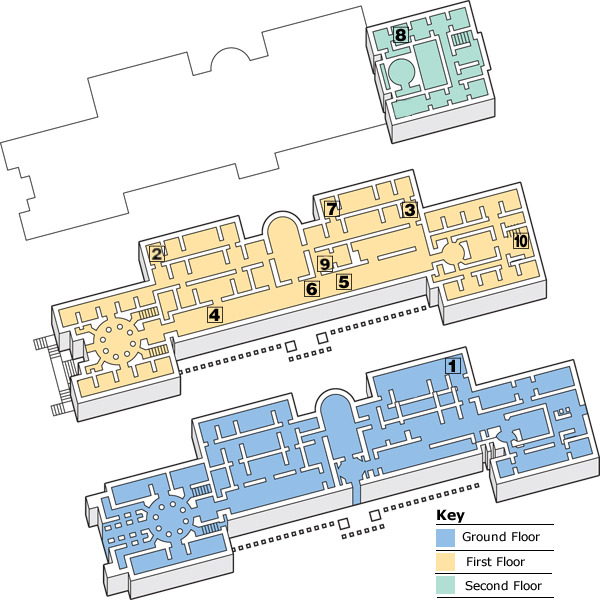 An underground link joins these two buildings via the ground floor and houses a shop, café, restaurant, auditorium and cloakroom. Visitors should note that the gallery is still being re-organised and some art works might not be on show as indicated. There’s a museum shop, a café and a restaurant, which is useful as you can spend all day in the Prado. If you want to visit all of Madrid’s art highlights buy a ticket for the Art Walk (El paseo del arte), a combined ticket for the Prado, the Thyssen-Bornemisza and the Reina Sofía. It’s available at all three museums and costs €14.40. Pedro de Berruguete (c.1450–c.1504) was influenced by the Italians. This painting (c.1470) shows St Dominic sitting in judgment with members of the Inquisition. 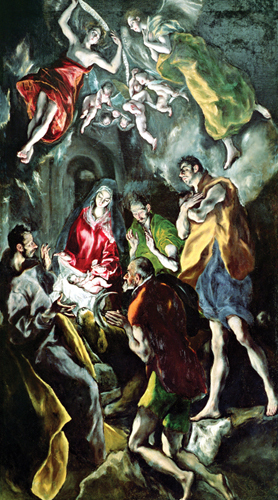 Born in Crete, El Greco (1541–1614) was given his nickname (“The Greek”) after settling in Toledo in 1577. This inspirational 1612 masterpiece was intended for his own tomb. Francisco Zurbarán (1598–1664) was born in Extremadura but trained in Seville. Best known for his religious paintings, this still life (c.1658–64) reveals his technical mastery in details such as the gleam of light on the pewter dish. This humane portrait (1630) of the ancient Greek mathematician is by José de Ribera (1591–1652). Like many Spanish artists of the period, Ribera was influenced by Caravaggio. Like Zurbarán, Bartolomé Esteban Murillo (1618– 82) worked in and around Seville, mainly in the decoration of convents and monasteries. This beautiful work (1650), painted with fluent brushstrokes, is typical of his output. This virtuoso exercise in perspective (1656) is by Diego Velázquez (1599–1660). Flanking the Infanta Margarita are her two ladies in waiting (las Meninas). The scene also includes the artist, with paintbrush and palette in hand. In this superb painting (c.1651) Diego Velázquez’s depiction of Madrid upholsterers is also a complex allegory based on the legend of the weaver Arachne. This 1788 Goya landscape brilliantly evokes the atmosphere of the San Isidro and the clear light of spring. This famous portrait (c.1797–1800) is one of a pair by Francisco de Goya (1746–1828) the Maja Clothed is in the same room for comparison. In this dramatic 1814 painting, Goya captures the execution of the leaders of the ill-fated insurrection against the French. The illuminated, Christ like figure (see Francisco de Goya) represents freedom being mowed down by the forces of oppression.